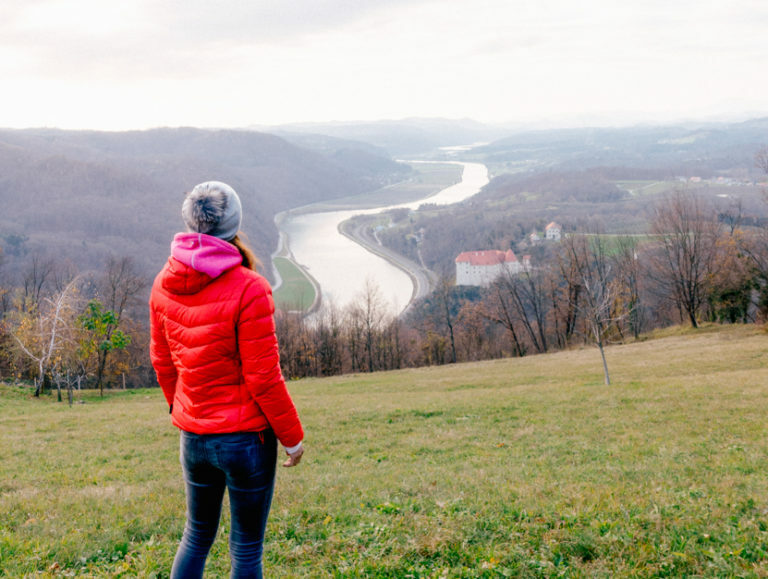 At first glance, Mojstrana seems like a classic small town of a little over a thousand people. Yet this little town is anything but ordinary. 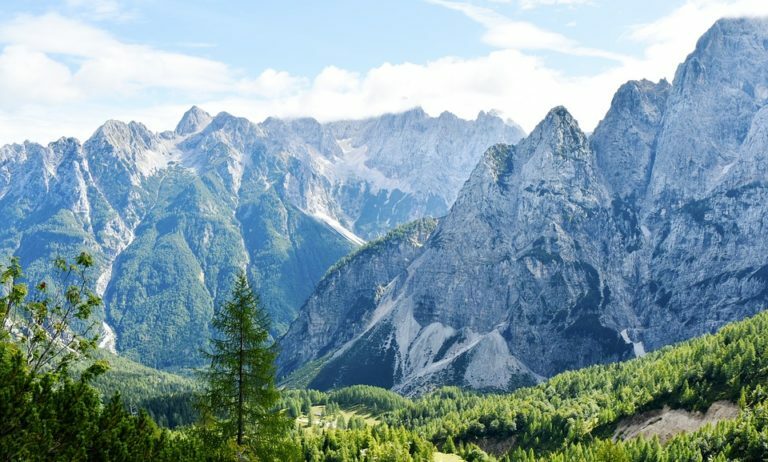 Apart from hosting the Slovenian Alpine Museum, namely the only mountaineering museum in Slovenia, Mojstrana is also closely connected to the Julian Alps, the Triglav National Park and the Karawanks. 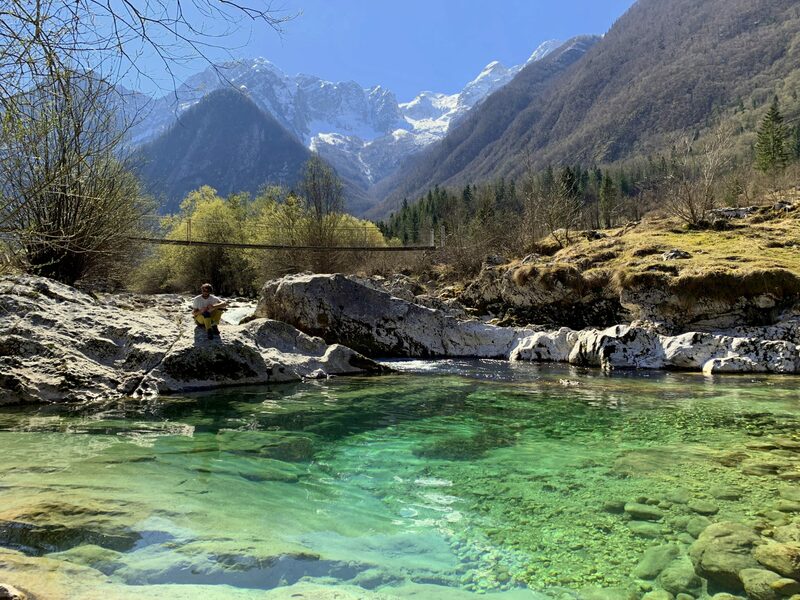 That’s why I’m always beyond psyched when visiting that part of Slovenia and exploring the beautiful mountains and waterfalls surrounding it. 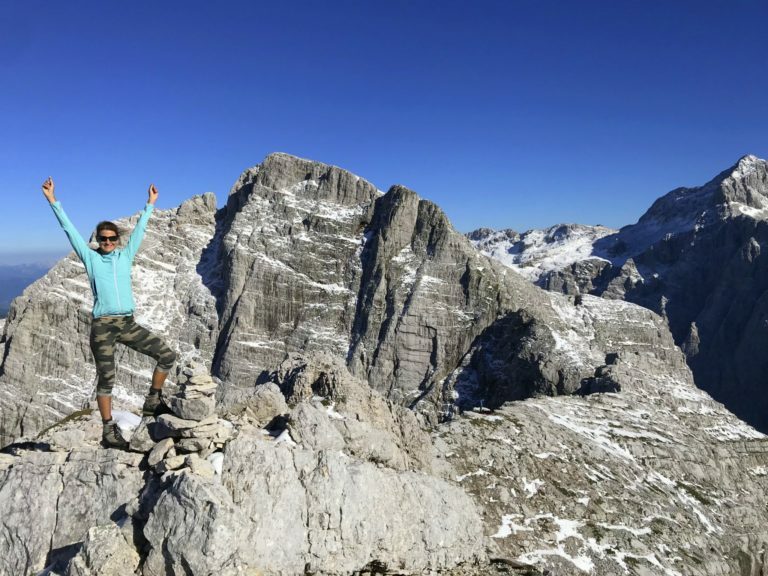 This time I headed towards a most scenic 1,900-meter high mountain called Vrtaški Vrh with not only astonishing views of the tall and grand, but also green valleys and countless spring flowers blooming along the trail. So, here is my problem: indoor workouts are so not my thing. Let me explain. 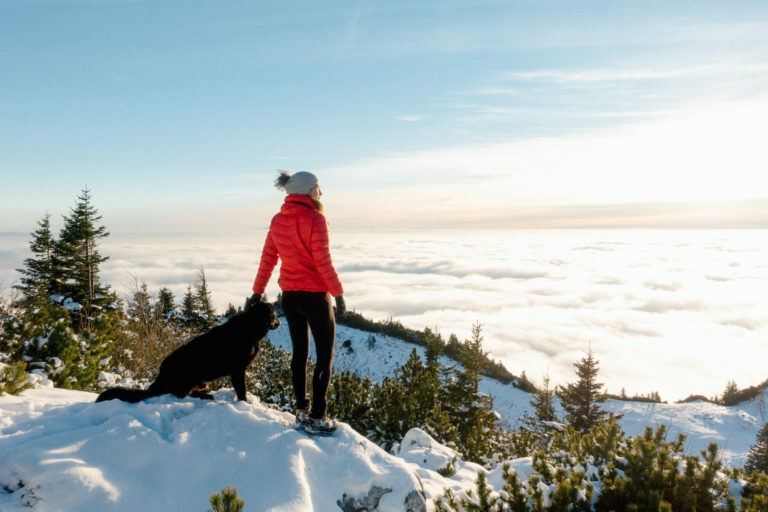 While I tried to improve my fitness a couple of times and did classic aerobics back in my student days, the truth is I’ve always been an outdoor girl and can’t really stand sharing a smelly gym with other sweaty people. Hopping and stretching together with twenty co-sufferers by order of a trainer? No, thank you! 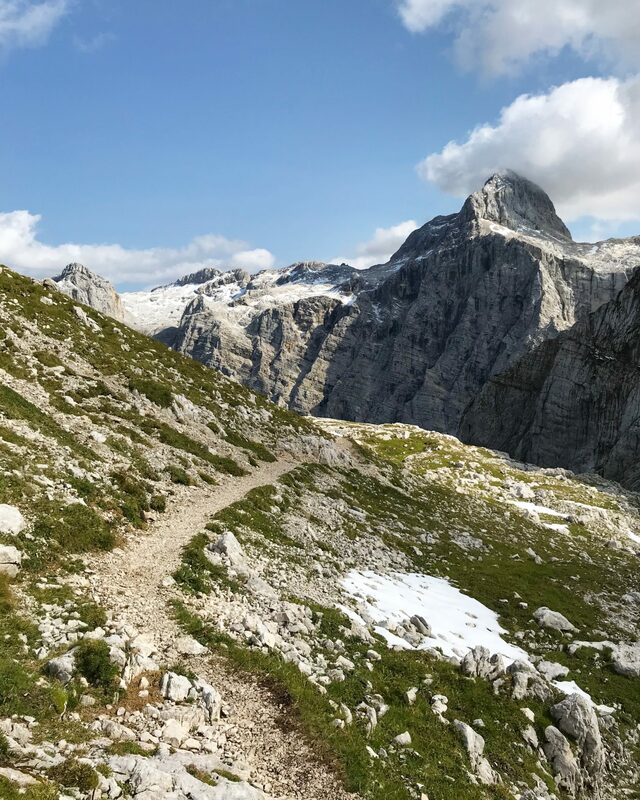 My usual workout simply takes place somewhere outside, like hiking in the mountains, running on long dusty trails, swimming in the clear sea, and cycling across rolling hills. Therefore, I had never thought I would ever enjoy an indoor workout as much as I enjoy EMS 20 Training! 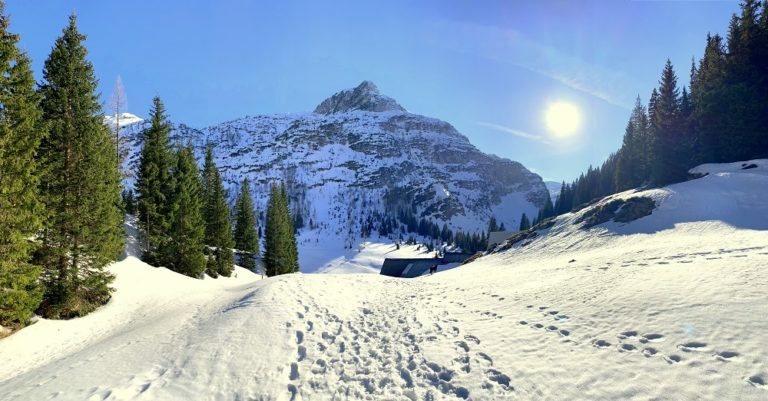 Fairytale on Velika Planina is everything I love about mountain resorts: it’s remote and isolated, yet still nicely connected to the valley by a cable car or a road that ends only 45 minutes away. 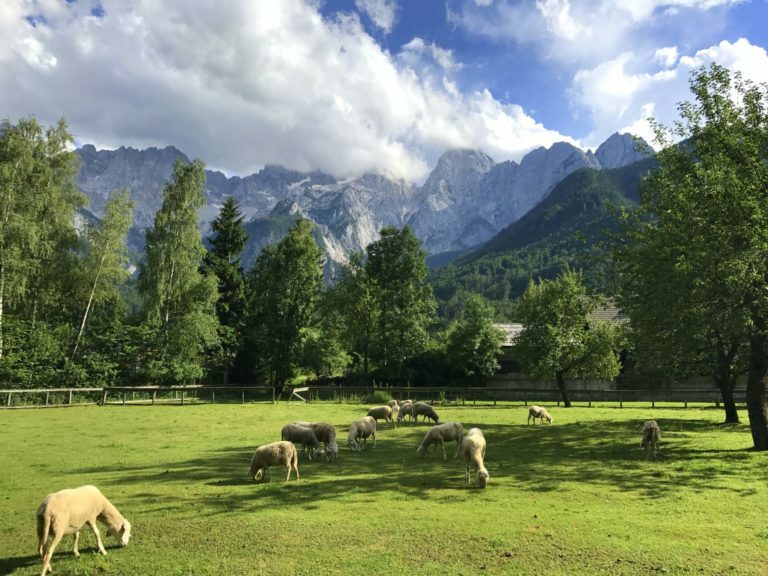 It has personality and all the little benefits of any other nice resort in the valley, plus you stay in pristine nature with spectacular views of sunlit mountaintops of the Alps. 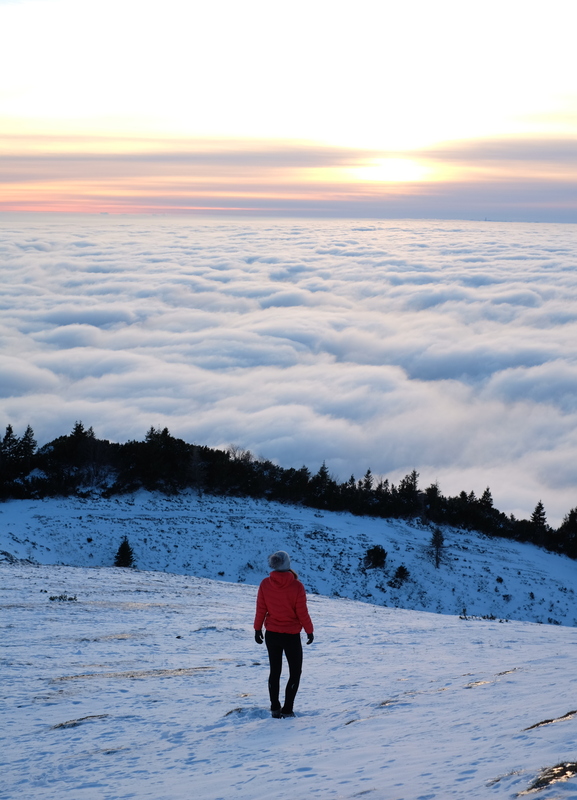 That’s why I was beyond psyched when the kind folks at Fairytale on Velika Planina invited me up for a few days of snowy trails and jaw-dropping sunrises and sunsets. And did I mention dogs are allowed? Lisa and her furry buddy Hari were welcome too! 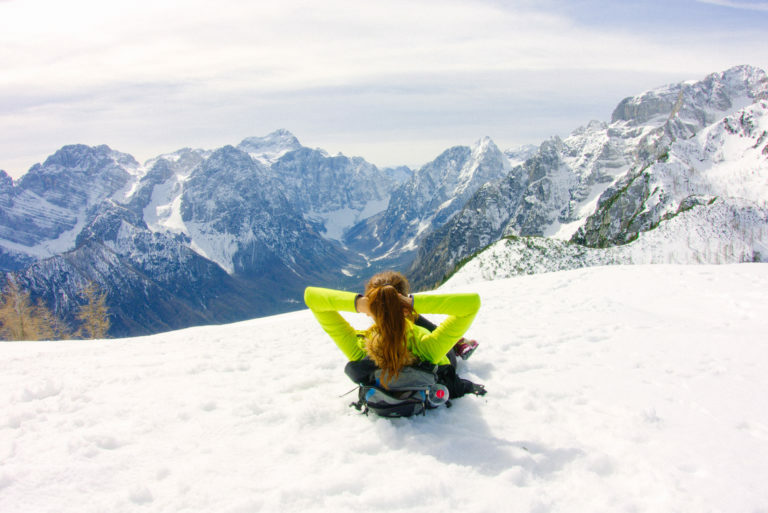 Slovenia, with its stunning mountain peaks, glacial lakes, and clear blue rivers, remains to be an ideal destination for all kinds of outdoor enthusiasts. When a country is filled with such enchanting scenery, there is bound to be a trove of fairy tales surrounding it. 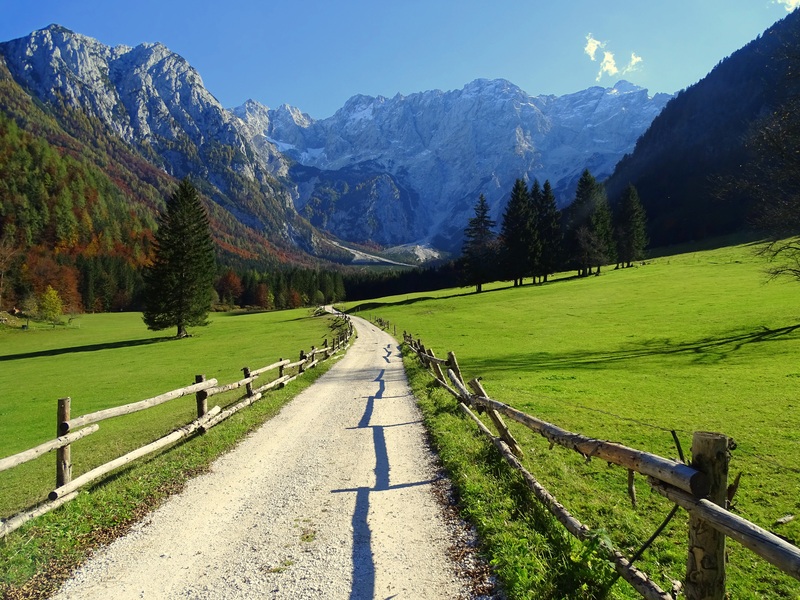 For those familiar with Slovenia’s mountains, perhaps your next hike will be a different experience once you learn of the legends behind these peaks. Not only will you enjoy the country’s natural beauty, but also appreciate its rich culture and folklore. Rolling hills, endless vineyards, pristine nature, generous and welcoming people, and good food. Now that I’ve really experienced the Krško region, spending there a weekend, I couldn’t agree more. That place makes a surprisingly invigorating holiday spot. In just two relaxing days, I walked through a virgin forest of tall oaks and fallen mossy trees. 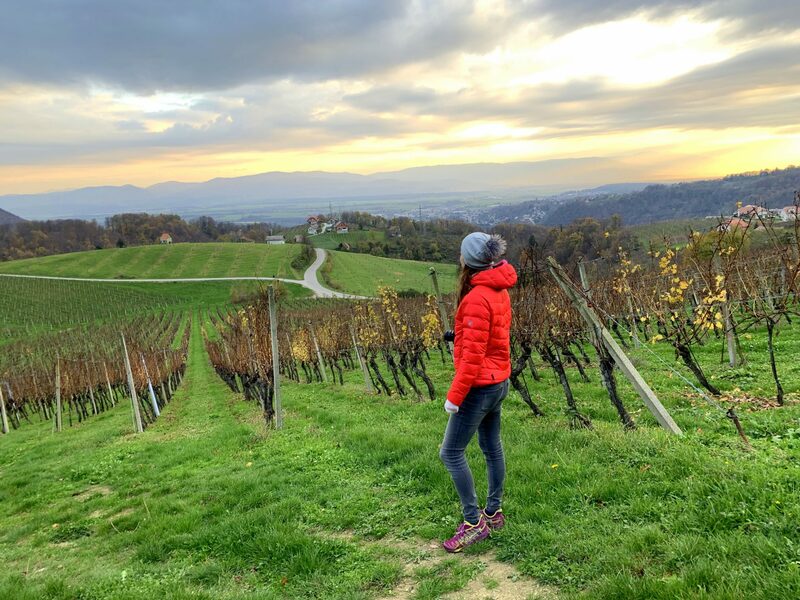 I walked along long vineyards, stretched across the hilly landscape of the Lower Sava region. I explored Medieval castles to learn about Trappist monks. I drank chocolate wine, and ate locally produced food that simply melts in the mouth. I was treated to local wine Cviček and home-made salami by friendly locals. I spent the night in a remote B&B in the midst of vineyards. And I drank a cup of tea in a hostel run by the ex-gold-medal Olympic athlete Primož Kozmus. Kind of awesome, right?